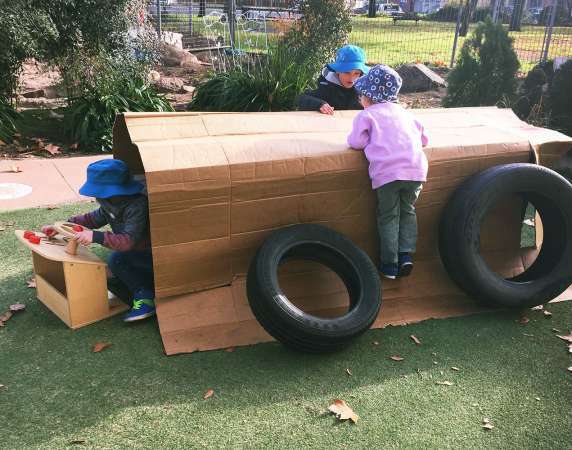 Mudgee Community Preschool is committed to reducing the barriers to access Preschool for children in remote areas, so we have processes in place to enable children to travel to and from Preschool by bus. However we believe that not all pre-schoolers are ready to take the bus to and from Preschool, especially at the beginning of their time here. It is the responsibility of the parents to decide if and when their child is ready to use the bus. We’re happy to discuss it with you if you have any concerns. Please note that Preschool is only responsible for your child once they have been signed in to Preschool by a Preschool member of staff who will help them to disembark from the bus, until they have been signed-out and put on the bus by a Preschool member of staff. When children use the bus to arrive at Preschool they are welcomed and supported by our staff to settle into the day. At the end of the day they are helped to pack up their bags and are cared for until they are put on the bus. Please let us know if your child will be using a bus to and from Preschool and ensure that the necessary authorisations, available from the office, are filled in so that our staff can sign your child in and out to Preschool. Ogdens buses provide a service to and from the Lovejoy Street Campus and the South Mudgee Campus and Mudgee Preschool facilitates the administration of this service. All other services must be contacted directly to make arrangements – not all bus companies will transport Preschool children. The information below provides an indication of bus routes and the organisation that provides the service. Routes: Lue Public School; Kandos/Rylstone Schools; Ilford Public School; Clandulla; Charbon; Glenn Alice. Routes: Gulgong; Lue; St Fillans; Hargraves; Piambong; Queens Pinch; Pyramul (Windeyer); Yarrabin; South Mudgee; Totness; Frog Rock; Wilbertree; Wollar.